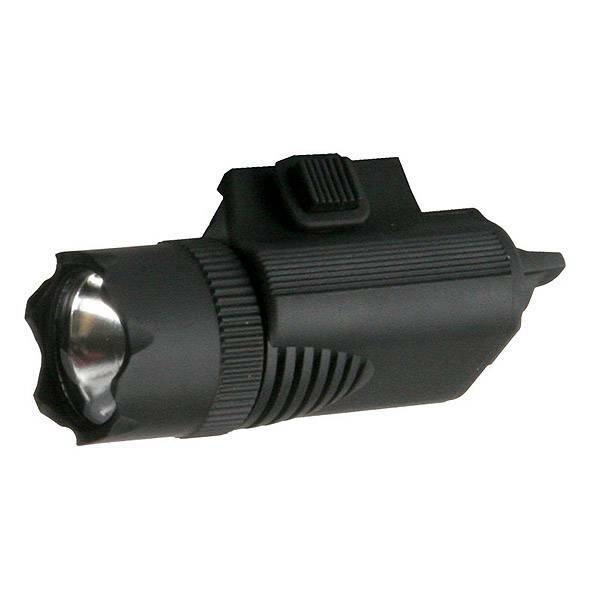 - Super bright tactical flashlight, perfect for pistols with frame rail. - The light can quickly be switched on and off on the rear facing switch. - The flashlight is supplied with a belt clip, where the light can be held when not mounted on a pistol. 2017-02-03 ΙΩΑΝΝΗΣ Μ. Flash gun fits well on my KJ works P226 very strong light!! !